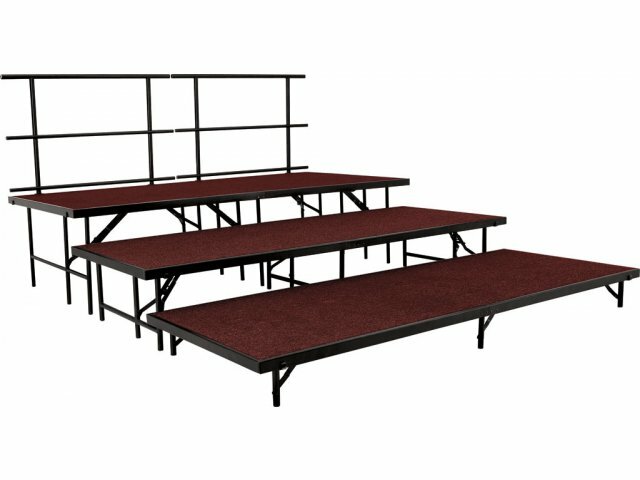 These choral risers will let your choir sing their hearts out. They are sized perfectly to accommodate vocalists and their seats. 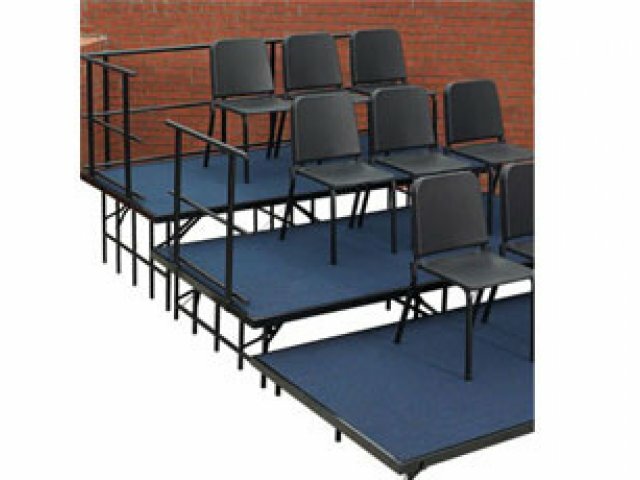 These portable risers are ideal for events which showcase your student musicians. They are designed to provide sturdy support, allowing students to focus on the performance and do their best. 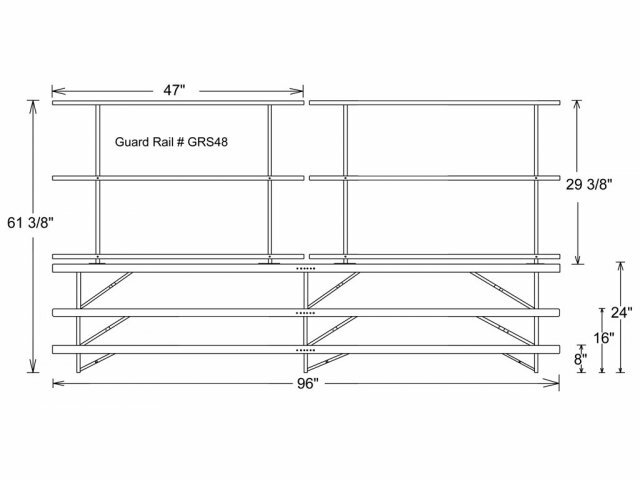 A tough-gauge steel frame and premium-grade plywood core provide robust support, while spring-loaded brackets ensure safe and easy setup and take-down. 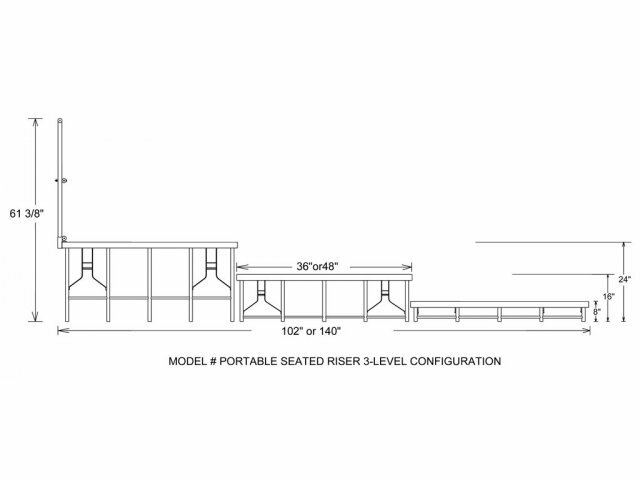 This modular portable riser system allows you to expand according to your needs. Once you have chosen a base set, you can easily choose add-on systems to broaden your layout. Multiple graduated levels keep all performers within view of the audience, so everyone can clearly see their favorite musicians. 215 Lbs. Per Square Ft.
Modular Design: You can add a fourth level to this set by ordering model STG-3632C. Safety First: Back rails included for added safety. Sturdy Support: Stands on a 16-gauge steel frame, with legs made from 14-gauge tubular steel. Tough Material: Constructed from premium-grade plywood core, supporting 215 lbs. per square foot. Smooth Transitions: Spring-loaded brackets make setup and take-down quick, easy and safe. Graduated Heights: Levels are at 8" height increments, with the lowest level 8" off the ground. No Damage: Non-marring glides prevent damage to floors. 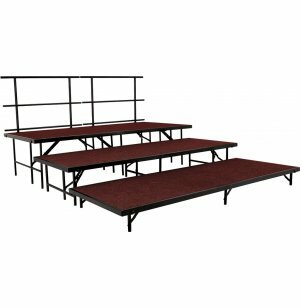 Great Options: The 36-inch deep risers facilitate seated choral events, while the 48-inch risers accommodate chairs plus instruments for a band.